This traditional celebration in honour of Saint Bartholomew dates back to the 15th century when the practice of anointing the foreheads of children to protect them from evil on the day of the saint was introduced. On the 24th of August the church of S. Bartolomeo in Pistoia still holds religious celebrations and blessings throughout the day: children and adults are “anointed” by the priest who marks the forehead with blessed oil while repeating an ancient prayer to invoke the protection of the saint. In the square in front of the church and in the neighbouring streets stalls selling sweets and toys are set up. 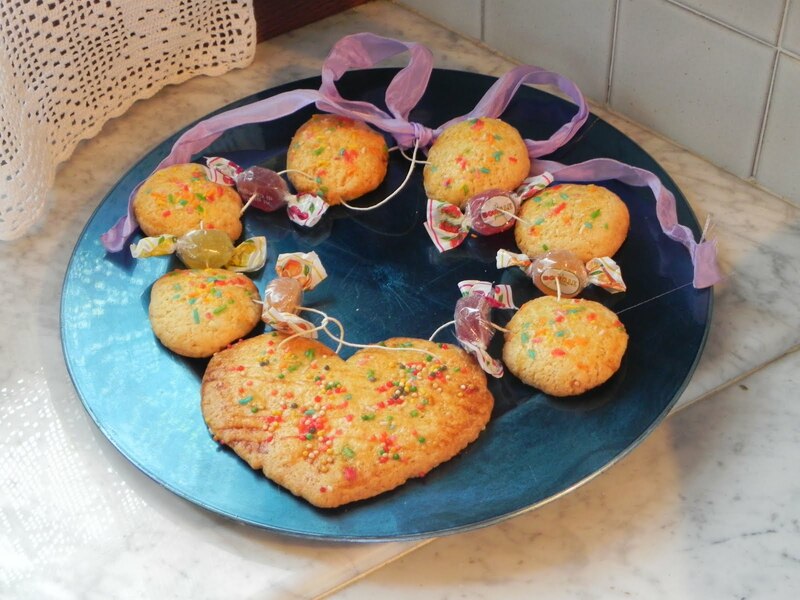 The traditional speciality of this festival is a garland in the form of a rosary made of small medallions of pastry and decorated with chocolates and sugared sweets. Gallery | This entry was posted in August 2019, Events in Pistoia, Uncategorized and tagged Feast of Saint Bartholomew. Bookmark the permalink.